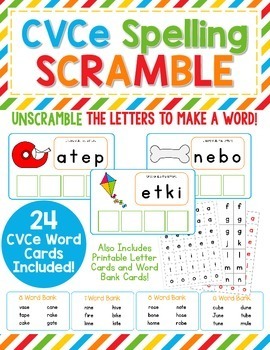 CVCe Spelling Scramble - Unscramble the letters to make CVCe words! Please see the Preview file to see all that is included in this kit! 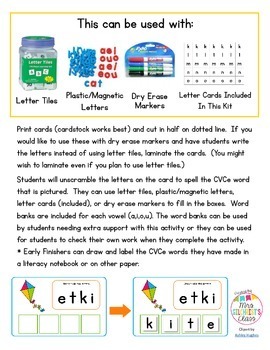 This kit contains 24 CVCe word scramble cards, Word Bank cards for each of the following vowels: a, i, o, u, and printable letter cards. 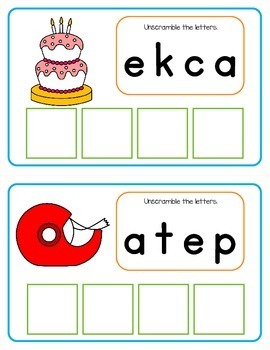 Students will unscramble the letters on the card to spell the CVCe word that is pictured. They can use letter tiles, plastic/magnetic letters, letter cards (included), or dry erase markers to fill in the boxes. 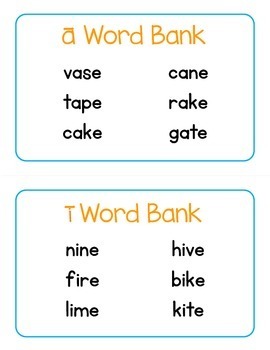 Word banks are included for each vowel. The word banks can be used by students needing extra support with this activity or they can be used for students to check their own work when they complete the activity. 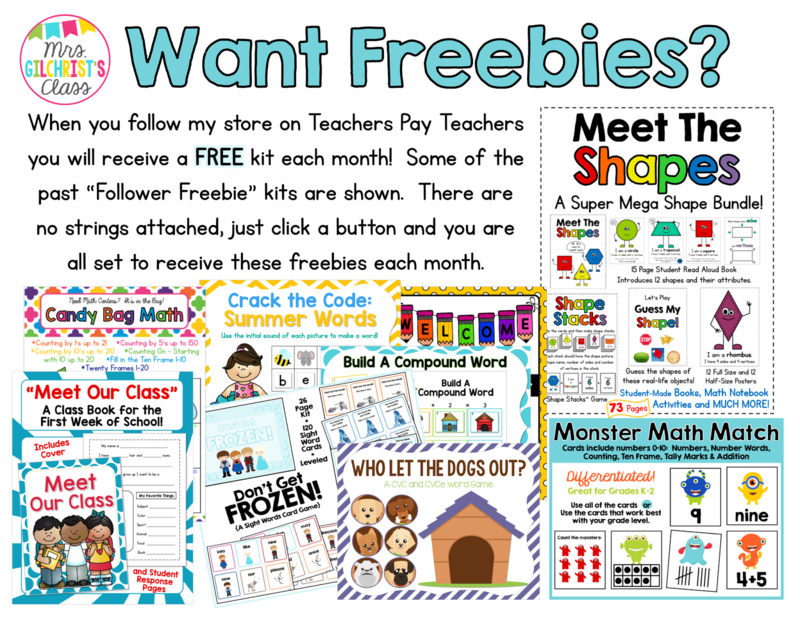 Get a FREE product every month when you follow me on TPT! All you need to do is click on the green star next to my store logo at the top right of this page. There are no strings attached - you will get a FREE product delivered to your TPT inbox every month on the 15th. If you'd like to see past "Follower Freebies" to get an idea of what you will receive, click HERE!